Has Your Personal Information Been Exposed to Hackers? Talk about a sobering look at how data breaches affect each one of us. Today’s New York Times offers a quiz that shows you how many places that your personal information has been exposed due to recent breaches in retail, medical and government. 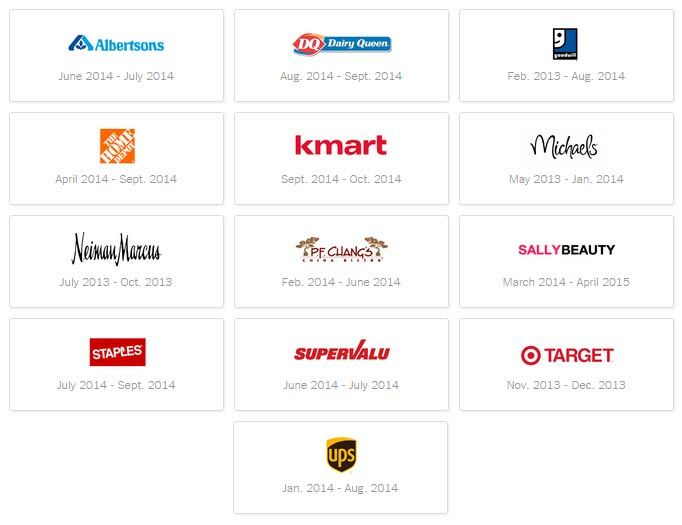 Did you use a credit or debit card at these retailers?